This past July, the Air Canada enRoute Film Festival began its 10th anniversary with a free screening of 20 Canadian short films in Vancouver. This followed with screenings in other select Canadian cities, as well as on Air Canada flights around the world. These shorts also competed for a number of awards, including Best Short Film, Achievement in Direction, Achievement in Cinematography, Achievement in Animation, and Achievement in Documentary. A free public screening of these nominated short films will take place in Montreal on Monday, November 14 at the Phi Centre at 7:30 p.m. and in Toronto on Thursday, November 17 at Scotiabank Theatre Toronto at 7 p.m. The winners will be awarded at a private ceremony, hosted by Etalk Reporter Liz Trinnear, at The Fifth Social Club on 225 Richmond Street West after the public screening in Toronto. Achievement Award winners will receive an all-inclusive trip for two to the 2017 Berlin International Film Festival in Germany, courtesy of Air Canada. The winner of Best Short Film will also receive a $5,000 cash prize courtesy of presenting sponsor, Cineplex Entertainment. The Air Canada enRoute Film Festival supporters include Cineplex Entertainment, TELUS Optik Local/STORYHIVE, Sterling Wines, CTV’s Etalk, Spafax, Entertainment One, VICELAND, Telefilm Canada, Directors Guild of Canada, William F. White International Inc., National Film Board of Canada and Hot Docs. Congratulations to all the finalists. A big thank you goes to Air Canada and to all of the supporters of the film festival and of Canadian short films. Fans of Canadian shorts definitely are grateful for chance to access and watch these films, whether at a festival or in the sky. Thanks also for the continued support of Canadian filmmakers and for fostering Canadian content. The Air Canada enRoute Film Festival is celebrating its 10th anniversary this year, and everyone’s invited to the party! The fun starts at 8:00 p.m. on July 20th at Robson Square in Vancouver, BC, where 20 short films produced by Canada’s up and coming filmmakers will be announced at a free public screening. After that, the festival will be making its way across Canada for further public screenings in Halifax on July 26th at 6:00 p.m. at the Halifax Central Library. Both events will be hosted by eTalk’s Liz Trinnear. Other free screenings will take place in Montreal on November 15th and Toronto on November 17th. The celebration doesn’t stop there. Passengers on Air Canada flights around the world will get a chance to view these shorts between August 1st and December 31st, 2016, by using Air Canada’s enRoute entertainment system. The films will also found online at enRoutefilm.com. Fans can vote for their favourite short until October 31st 2016, and the winning film will pick up the People’s Choice Award. The shorts will also be competing for awards in Best Short Film, Achievement in Direction, Achievement in Cinematography, Achievement in Animation, and Achievement in Documentary awards. The winners will be picked by a star-studded jury, led by director Patrick Rozema and including actor & director Jason Priestley and actress Karine Vanasse. The winning filmmaker will be awarded an all-inclusive trip for two to the Berlin International Film Festival in Germany, courtesy of Air Canada. The Best Short Film winner will also receive $5,000 from the presenting sponsor, Cineplex. Happy 10th anniversary to Air Canada’s enRoute Film Festival! Thank you for making Canadian short films available for viewing on your flights for all these years. This kind of exposure certainly helps in raising the profile of various Canadian filmmakers. It is also an excellent way to entertain current fans of short films and to attract new fans to the genre. All the best to everyone involved in the festival for a successful kick-off party in Vancouver. Looking forward to watching more Canadian short films on Air Canada flights in the years to come! 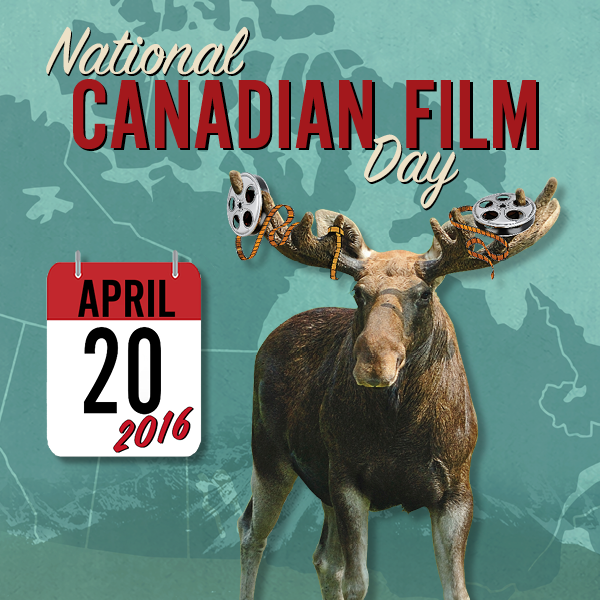 National Canadian Film Day is coming up on April 20th. Schools, theatres and libraries will be screening Canadian films in honour of the nation’s rich filmmaking industry. Thanks to Reel Canada and the generous of support of a wide number of partners and sponsors, Canadians will have a chance to view a wealth of Canadian cinema titles that they may not otherwise have access to. Along with feature-length movies, Canadian short films will also have their chance to shine. Under the title Great Canadian Shorts, fans can go online to see if a short film screening will take place in their community on that day. As you make your way to that theatre or library, ask yourself this question: why do you like Canadian short films? Specifically, what is it about Canadian short films that attracts and keeps your attention? What motivates you to go out of your way to search for and watch Canadian short films? What is in a Canadian short film that you like so much that you can’t find in any other movie or film? There are definitely a lot of reasons why Canadian short films are so appealing to many of us. They reflect our diversity and our humour. They have a certain quality about them and their short length can be enjoyed at one’s convenience. They have trailblazed Canadian cinema and helped launch careers of many Canadian filmmakers past and present. What are your reasons for liking Canadian shorts? Think about them as you sit back and enjoy them on April 20th. Tweet out your thoughts or leave a comment below. Film festivals take place in various cities in Canada all year and are lots of fun to attend. In the background of each festival, programmers are busy sourcing and securing enjoyable films to screen for their audiences. Certain criteria are carefully considered when making a final decision for choosing the shorts that eventually appear on the screen. But as Canadian short film fans might wonder, what are these criteria that programmers use? This year, Vaughan Film Festival was held from May 25th to 28th and featured a variety of Canadian short films among shorts from other countries. Short Film Fan caught up with Antonio Ienco, one of the festival’s co-founders and chairs, to learn more about how the Canadian shorts were chosen and how they fared with the audience. Short Film Fan: Why were these Canadian shorts chosen, in particular? Antonio Ienco: The Canadian short films that were chosen for Vaughan Film Festival 2015 (VFF) were ‘Lines’ (directed by Amy Jo Johnson of ‘Flashpoint’, ‘Felicity’ and ‘Power Rangers’ and featuring Enrico Colantoni), ‘Reunions’, ‘Temperature Drop’ and ‘The Present’. These films were chosen from over 200 international films submitted to this year’s festival. They were chosen because they were able to tell their stories in an engaging way. When we selected films for VFF, the panel looked at all aspects of film making – acting, directing, cinematography and writing. But what it comes down to is this: “Is the story going to engage the audience?” Once that is accomplished, then we narrowed down our selection. SFF: How were they received by the audience? Did any of them resonate with the viewers in any way? AI: The audience was very pleased to see the number of Canadian submissions increase year after year. With this year’s lineup, ‘The Present’ was nominated for two awards in the category of Best Film and Best Director, whereas ‘Temperature Drop’ and ‘Lines’ were nominated for Best Cinematography and Best Actress. I would have to say that ‘Reunions’ resonated most with the audience as film maker Naomi Wise was available for the screening and answered an abundance of questions during her Q & A from a very intrigued audience. SFF: What are your plans for next year’s Canadian shorts? Will you be adding more to the lineup, for example? AI: We are looking forward to next year’s submissions as we doubled from our second to third year. I can only imagine how many we are going to receive for 2016. Regarding Canadian films for 2016, it all really depends on how many are submitted. The more Canadian shorts submitted the more likely we are to screen more than the previous year. For all Canadian and international filmmakers looking to submit to VFF 2016, submissions open on Sept 1 2015 and close on Jan 31 2016. 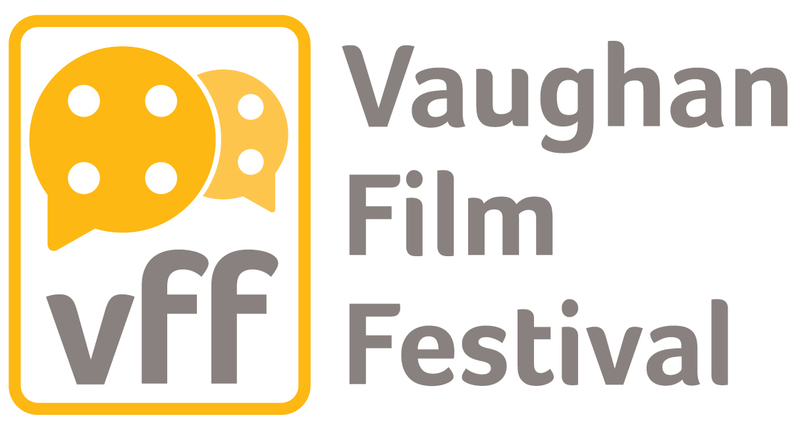 Visit vaughanfilmfestival.com to submit. Congratulations goes out to Antonio and everyone at Vaughan Film Festival for a such a successful showing of Canadian short films this year. All the best for next year’s festival, including receiving a record number of Canadian shorts entries for 2016.